Triangulation of a set of points is a fundamental structure in computational geometry. According to the authors’ best knowledge, there is not much research done on maximum weight triangulation, MaxWT. From the theoretical viewpoint, MaxWT and its counterpart, the minimum weight triangulation, attract equally interest. 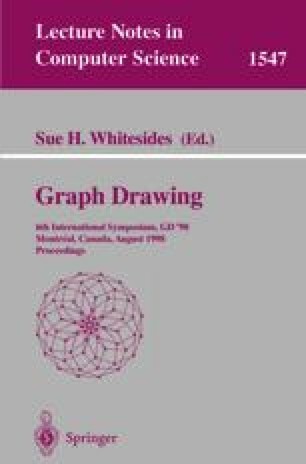 The graph drawings as MaxWT are investigated. This work is supported by NSERC grant OPG0041629 and RGC grant HKU 541/96E.